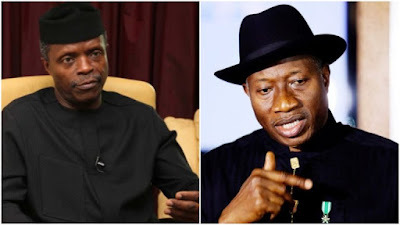 Former President, Goodluck Jonathan, on Tuesday, said Vice President Yemi Osinbajo lied over claims that the Jonathan administration embezzled some funds a few weeks to the 2015 general elections. Mr. Jonathan’s reaction was contained in a statement by his former spokesperson, Reno Omokri. The former president told reporters he stood by that response.